Ever since I tried the Distress Watercolor technique from Tim Holtz in the Compendium of Curiosities III book, I've been hooked. It's a fairly easy technique, even if you're not a pro artist. The trick is knowing where to shade and where to lighten. After some practice, you figure it out pretty quickly. While I'm not claiming to be a pro at it myself, I think I get it. I played around a while, designing some birthday cards using a few Stampers Anonymous blueprint stamp sets and Graphic 45 Mother Goose papers and came away pretty satisfied with them. I thought "I enjoy this so much, I'd love to teach others this fun technique." 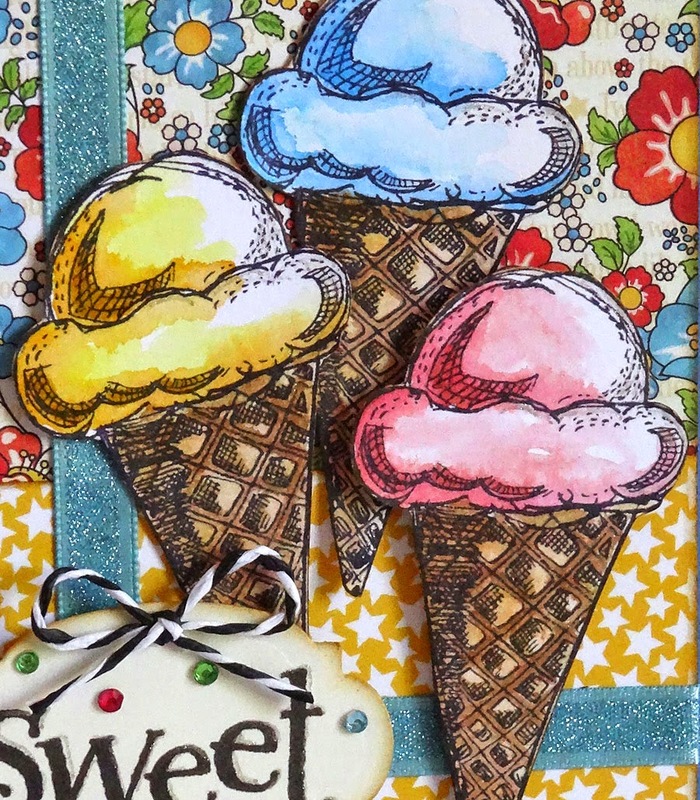 I'll teach how to master the water brush with Distress Markers on Ranger Distress Watercolor Cardstock to create these four fun cards. Two 5" x 7s", one 6" x 6" easel card, and one A4 pop-up. And it's not just a class, it's a PARTY! Think streamers, balloons, and cupcakes! And if you arrive with your own handmade party hat, you'll instantly receive a prize at the door! Space is limited to 20 guests, so RSVP quickly if interested. 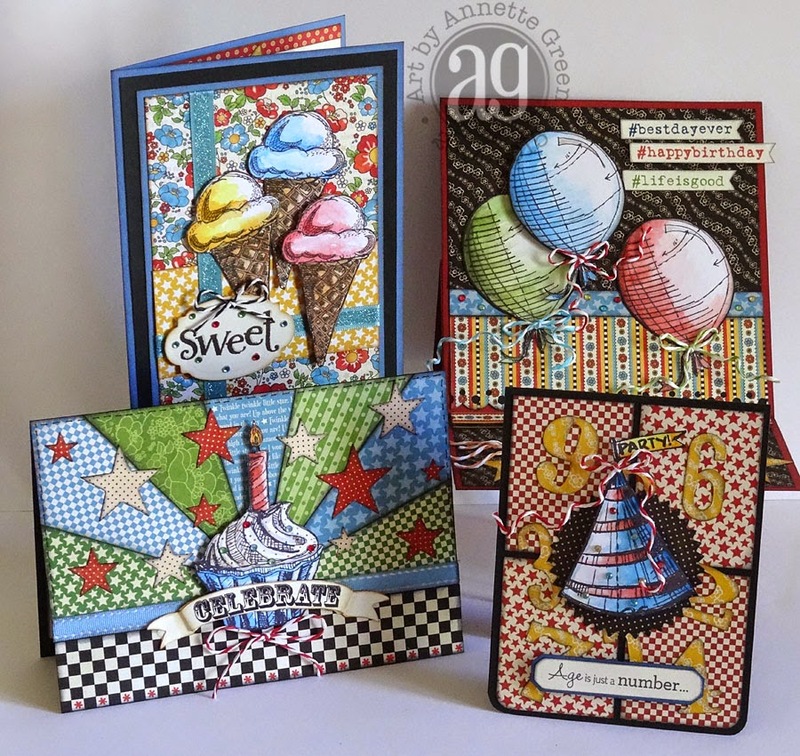 Fantastic cards, Annette! Wish I was somewhere near.